Since it is a very long drive all the way from Croatia back home to The Netherlands we decided to make a two day pit stop in the southern part of Germany to visit the famous Neuschwanstein castle. During two nights we stayed in Füssen: a village located nearby the castle which actually has a very pretty and colourful city centre as you can see above. 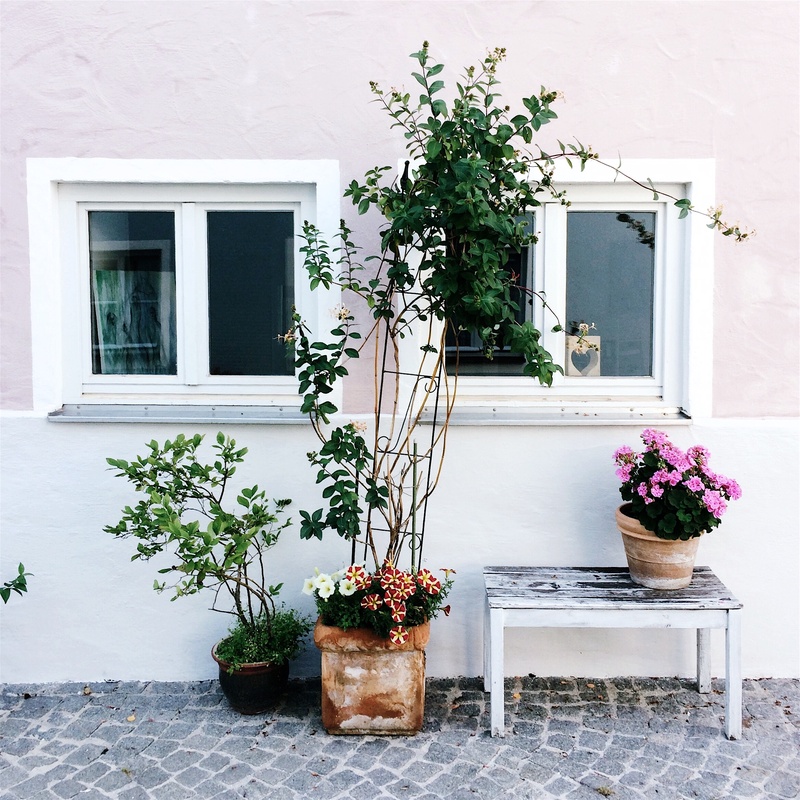 I absolutely loved all the cute coloured houses covered with different kinds of flowers and plants. 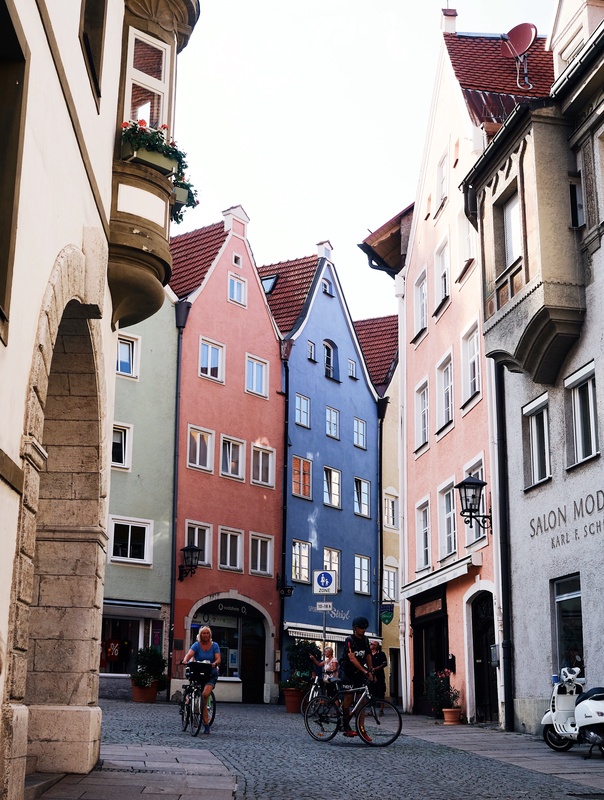 Also I have some recommendations for you regarding where to eat in Füssen. Enjoy! Italians do it better. 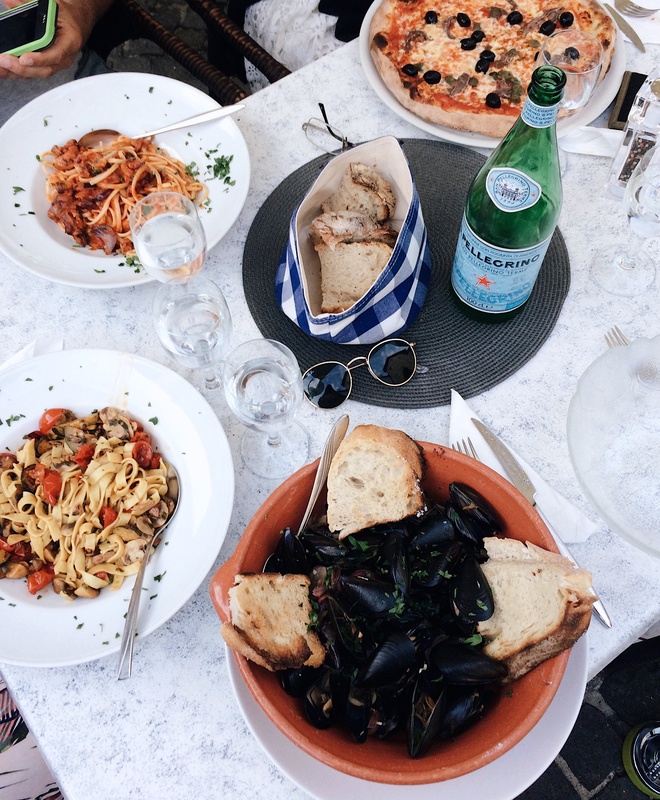 Il Pescatore serves the most delicious mussels, pizza and fresh pasta's in town (see photo above). The restaurant also has some tables outside on the cutest square ever, so you can have a romantic Italian summer night dinner in the open air. In case you're in the mood for some really good ice cream aka a cooling down after a touristy day at Neuschwanstein. Absolutely love your girly and cute outfit! That dress suits you beautifully!